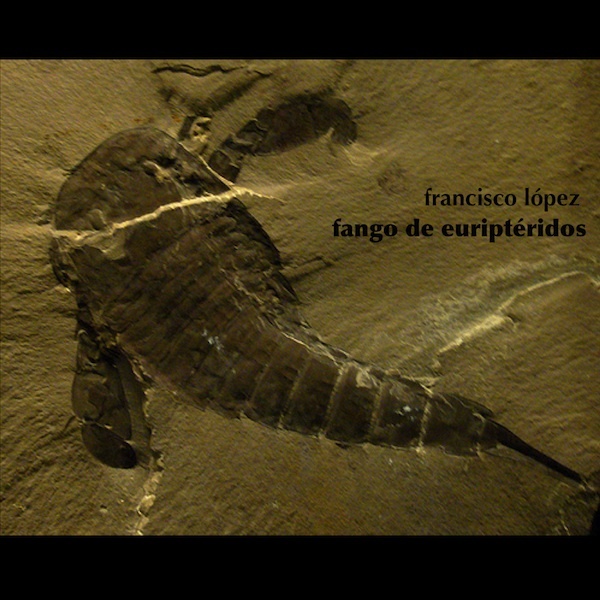 Eurypterids were the largest Arthropods that have ever existed. Now extinct, these “Giant Sea Scorpions” were formidable predators in the oceans and lakes of the Earth some 300-400 million years ago. ‘Mud of Eurypterids’ is one of the last sound pieces López created with a reference to arthropods, some twenty years ago, at a time when his research work in entomology was fading away in favor of ecology. It was recorded and mastered at Messor Studios (Madrid) in the Spring of 1990, and originally released on a cassette edition of only 50 copies by the now disappeared underground label Hyades Arts (Spain). 1st edition of 250 copies (March 2011): printed mini-cdr, carton folded sleeve.